These are a few of the main non-vampire characters from seasons 1 and 2. Ah, canon. There can be a lot of conflict in canon, some because of mistakes, others because of … reasons. When presented with conflicting information, one must decide what to do. Sometimes you go by the dialogue while other times by what you see on the screen. Sometimes you do neither, possibly choosing a path in between. Here is one of those situations where the dialogue conflicts with what is on screen. In multiple episodes, the Caddy is referred to as a ’62. And perhaps they had a ’62 on set somewhere; from most angles, the ’61 and ’62 look basically identical. However, not from the front or the back. The great thing about Caddies in the 62 series during these classic years is each one was very different in the lights. In the movie Nick Knight, that was a ’59: there was the red bottle rocket lights on the fin and big circle shape for the tail light. By 1960, the rocket lights were changed to a light flush with the fin and the back tail lights became two circles in a vertical position. 1961 would bring those circle tail lights into a horizontal position to each other, and a year later the circles would be swapped out with a large rectangle. So looking at the back tail lights, Nick’s Caddy has, on each side, two circle back lights next to each other: a 1961 Cadillac. And this ends all my knowledge about cars. Arguably the most important character in the show (after Nick) is the Caddy. Nick clearly loves the car, having probably spent many, many years with it. If he got the car when it was new, then he’s had the automobile for 31 years by the beginning of the show. 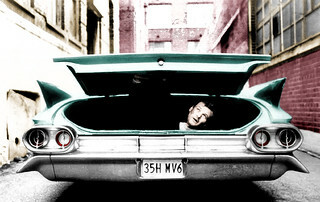 Everyone seems to know the car, and we become familiar with Nick being either behind the wheel or in the trunk. With so much invested into the car, you really do want to know more about it. Why that color? Usually when we think of vampires, we have them driving dark or black vehicles, and in the movie he does have a black car. So why this color? Was that his choice, or the only color available to him at the time? Or maybe you wonder how he came to acquire it. Was this a purchase that was thought out and planned, or was it a quick acquisition because he needed to run away again? We also know Nick collects and keeps mementos from important moments in his life, so was this car associated with such an event? Was the Caddy originally someone else’s car? 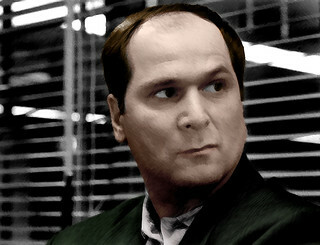 Played by John Kapelos, he would be the only person to play in both the movie and the TV show. Originally on the day shift, Don was partnered with Nick for the overlaps between shifts, then later was with Nick on the night shift, but able to get things done during the day if needed. Schanke is a family man, with wife Myra and daughter Jenny. He wants to be a good person, bringing in the bad ones and making the world safer. He is very pragmatic and reduces problems down to their simplest (sometimes crudest) and most logical. He spends so much time looking for real human monsters, he pretty much completely failed to see he was paired up to a mythical one. Or maybe he didn’t see Nick as a monster because that is not an intrinsic part of Nick, it’s not really part of the human side of Nick. Or perhaps Don was hypnotized from the very beginning to not see Nick for what he is. Dr Natalie Lambert, MD, ? 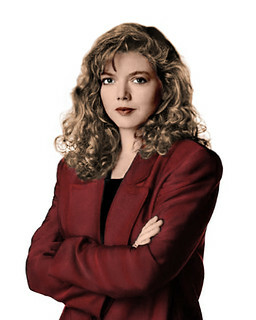 Played by Catherine Disher, Natalie is the character that was Jack in the movie. The switch would allow the romantic tension to be there, and add in a mortal female to balance against Janette. I love her because she is not the damsel-in-distress-needing-to-be-saved female of this story. She is trying to save Nick. Ha! I clearly need to add that info about the Caddy to the Wiki! Neat! Glad this could be helpful, it's literally the only thing about cars I know! Lots of interesting questions. I don't think anyone addressed those in fanfiction yet. Apparently Nick hasn't sorted through the glove compartment for 31 years. I'm not sure, was that driver's license Schanke found from 1962? That would indicate Nick acquired the car in New York when it was new. I don't know if buying a car in those times had the same options like today, such as choosing the colour. Obviously he went for the car with the biggest trunk. The colour might have been secondary. I think Schanke is so down to earth that it wouldn't occur to him to consider anything supernatural about Nick unless he has proof. Like in "Close Call". Nick's unexplainable appearance on the stairs triggers his probing into Nick's life. Unlike Tracy who knows that vampires exist and still doesn't have a clue about Nick. As she's a resister she couldn't have been hypnotized into not seeing it either. She also doesn't sense anything evil about Nick as she does with Vachon and Lacroix. So maybe you're correct that it's "not an intrinsic part of Nick, it’s not really part of the human side of Nick." Yes, it does seem like Nick hadn't gone through that glove compartment since he got the car. I was always intrigued by the color because when I first saw the show I saw it as blue. Then, years later when I got to see it again, it was green (turns out the first TV was not adjusted very well). So for me, that was a shock that stuck with me. As for Nick choosing the color, I agree with you - the color was probably the only one available so that's why he has that one. Oh, since I am not even thinking about 3rd season yet I hadn't thought about Tracy not seeing the clues about Nick!